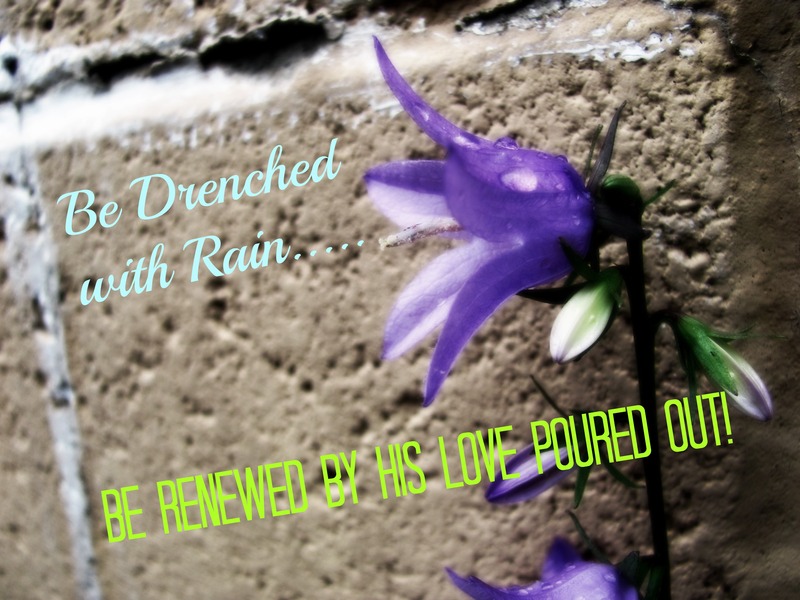 After the rain pours out on the earth, things come to life. Dry flowers are quenched of their thirst. The soil soaks up the refreshment poured upon it. The birds come to play in the little puddles. Children come to make mud pies and jump and play, splashing water everywhere. Everything just comes to a place of hydration and peace. Things begin to grow and roots become stronger. Is it not the same with God? Let me explain. I have been attending revival meetings now since 2009. The first one I attended was 54 days long and changed my life completely. As I spent night after night in worship and spending time on the floor in prayer, God was able to change my thinking in several areas of my life. As He poured into me, I grew. I opened my heart like a flower seeking to be drenched by love. I finally could see the call God had on my life. I knew beyond the shadow of a doubt that I had a purpose to fulfill. After several months of intense one on one time with Jesus, I was ready to move into the things God had prepared for me. Now here I am in 2013 and we are on the verge of revival breaking out all over the city and what is happening to me? I am feeling nervous and excited all at the same time. I know the time is nearing that I will have to get out of my box and declare my purpose. I will soon be sharing Jesus with everyone I meet no matter where I am. As we begin to settle into our new building smack dab in the center of the city, I get a front row seat to see just what God can do with little nobodies like me. Why am I so scared? Well, after being drenched by the raining down of His love all this time, I have become comfortable with this God I have been seeking. I have been soaking in all of the teachings and reading His Word. I am filled from head to toe with the knowledge of Jesus and now it is my time to pour it all out. So why am I in fear? Because part of me feels like if I empty it all out, I will never be full again. This my friends is what we call discouragement and disbelief in what God can do. It is what the enemy does to hold us back. The last thing Satan wants to do is watch us spreading the Good News to everyone we meet so he gives us this lie that once we pour out God, we won’t be able to get a refill. Pure lies.